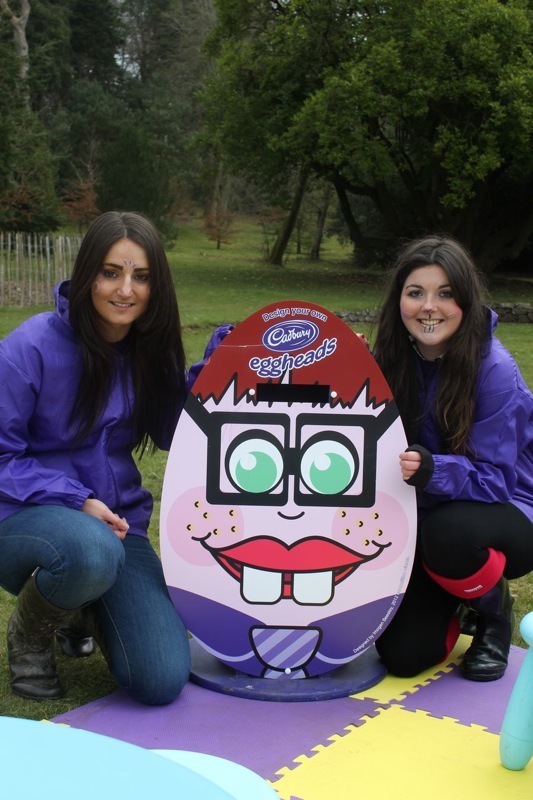 Astute Staffing are delighted to be providing Brand Ambassadors and games helpers in conjunction with Cadbury Egg Trails across National Trust sites in Northern Ireland. The Easter Egg Trails activity, which is now in its sixth year, kicks off on March 29th and runs through to April 2nd at 287 National Trust and National Trust for Scotland properties. The activity, designed to give Cadbury consumers a feel good experience this Easter, will be supported by a revamped website that features sharing mechanics for Twitter and Facebook. A Design Your Own Egghead competition is also going online for the first time in 2013 to open it up to a wider audience. The website, http://www.eastereggtrail.com/, will enable visitors to download, complete the entry form and view the shortlisted entries, while the winning design will be used on-pack next year. Activities taking place at participating National Trust and National Trust for Scotland properties will include complimentary face painting, Easter Egg Trails, Egghead competition, games and play areas – supported by Astute Staffing brand ambassadors and games facilitators across Northern Ireland. James Mountstephens, co-founder at Astute Staffing, added: “We're delighted to be working and associated with Cadburys and The National trust sites in Northern Ireland for our 6th year. Our ambassadors love working at this event and we're always inundated with our ambassadors looking to work the Easter weekend on this exciting campaign."